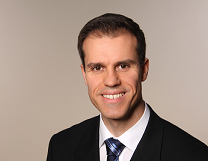 Igor Novakovic is Deputy Director Development at Attensity Europe GmbH. After joining Attensity Europe GmbH (formerly called "empolis") in 2000, he was at first responsible for the development of some server-side components written in C + + and Java. Later on, beside designing and developing J2EE applications, he successfully introduced company-wide application lifecycle management based on open source tools. From 2006 he led the development of the solution "empolis Service Lifecycle Suite". Since late 2007 he is the co-lead of the SMILA project. As of mid 2009 he is also responsible for integrating SMILA in the next generation of the product "Information Access System". This page was last modified 07:42, 17 May 2011 by Igor Novakovic. Based on work by Igor Novakovic.